FBI Special Agent Amos Decker discovers that a mistake he made as a rookie detective may have led to deadly consequences in the latest Memory Man thriller in David Baldacci's number one New York Times bestselling series. Amos Decker and his FBI partner Alex Jamison are visiting his hometown of Burlington, Ohio, when he's approached by an unfamiliar man. But he instantly recognizes the man's name: Meryl Hawkins. He's the first person Decker ever arrested for murder back when he was a young detective. Though a dozen years in prison have left Hawkins unrecognizably aged and terminally ill, one thing hasn't changed: He maintains he never committed the murders. Could it be possible that Decker made a mistake all those years ago? As he starts digging into the old case, Decker finds a startling connection to a new crime that he may be able to prevent, if only he can put the pieces together quickly enough . 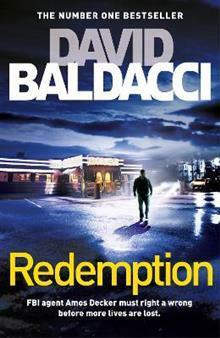 . .
David Baldacci is one of the world's bestselling and favourite thriller writers. With over 130 million copies in print, his books are published in over eighty territories and forty-five languages, and have been adapted for both feature-film and television. He has established links to government sources, giving his books added authenticity. David is also the co-founder, along with his wife, of the Wish You Well Foundation (R), a non-profit organization dedicated to supporting literacy efforts across the US. Trust him to take you to the action.